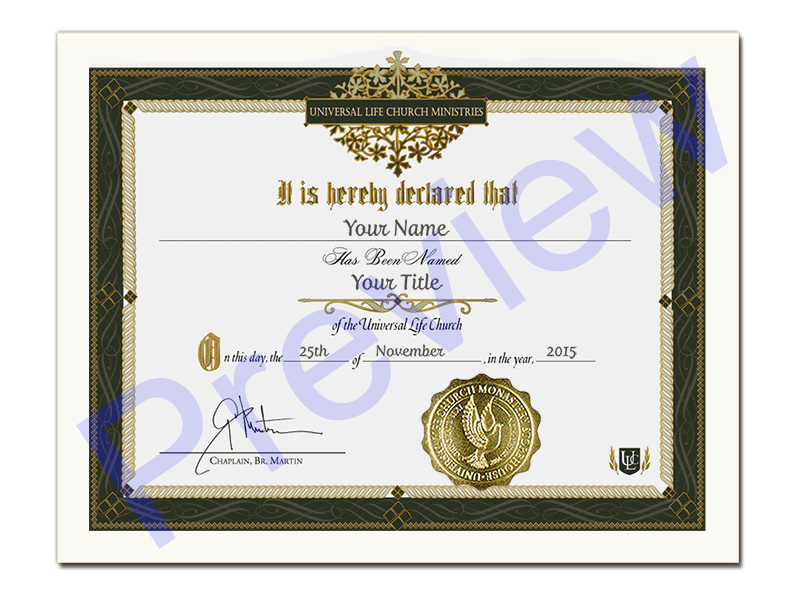 If you feel you have earned the title, then order this beautiful document, hand lettered by our professional calligrapher perfect for hanging or framing. Honorary Degrees and Titles are available from the Universal Life Church by request. Our organization does not have a set hierarchy structure, but these are often helpful if you are beginning your own organization. There are 60 plus titles to choose from.